In Ben Egan’s hometown, Sherrill, New York, he and Babe Ruth are inexorably linked, to the extent that most current residents know more about Babe Ruth and his fabled 1910 pitching performance there than the marvelous amateur and professional baseball career of Ben, their playful native son. Quips and testimonials from Egan’s teammates during his playing days suggest he was a serious team leader while at the same time a locker-room comic and prankster. He was also by all accounts an exceptional pitching coach, a student of the game, and a good teammate. He captained the minor-league Orioles in each of the eight years he played for them. He finished his professional career as a coach with the Orioles in 1928 and then, though apparently on the fast track back to the major leagues as a coach or manager, he inexplicably retired from professional baseball, following the sudden, unexpected death of his friend and mentor Jack Dunn. Egan reached the major leagues briefly in 1908 as a late-season call-up to Connie Mack’s sixth-place Philadelphia Athletics. He caught in two games and had six at-bats and one hit. Mack thought Egan still young and relatively inexperienced and sent him back to Utica in 1909 for more seasoning. In 1912, though used sparingly, Egan threw out 56 base stealers in 46 games as catcher. Since he wasn’t a regular and often didn’t play the full game, his caught-stealing average of 1.17 per game was particularly impressive, ranking second in the American League.10 But in two trials with the Athletics, Egan didn’t hit. In his second stint with the team he hit only .174 in 138 at-bats. He could catch and throw, of that there was little doubt, but he couldn’t hit at that point in his career enough to stick in the majors. Still, he remained on the Athletics’ roster for the entire 1912 season. After the season, the Athletics released him to Baltimore, where in 1913 he played in 138 games and batted a respectable .280. Egan had qualities that endeared him to legendary Baltimore owner-manager Jack Dunn. The Sherrill Sage, as he was often labeled in the Baltimore press, possessed good baseball instincts but, more importantly, the ability to nurture and instruct young players. Egan never got into a game for the Red Sox. On July 28 Boston traded him to Cleveland with pitchers Fritz Coumbe and Rankin Johnson for left-handed pitcher Vean Gregg. Gregg had won 72 games for Cleveland but would win only nine for Boston over the next three seasons. Egan spent 1914 and 1915 as a backup catcher with Cleveland. Once again, he didn’t hit enough to stick in the majors, batting .227 in 88 at-bats in 1914 and .108 in 120 at-bats in 1915. Cleveland released him to Newark of the International League before the 1916 season. Egan suffered personal tragedies during this period as well: In April 1914 Ben’s oldest sister, Nellie Egan, 34, died of kidney disease. In July 1915 his younger brother Fred, 29, died from consumption, and in August an older brother John, 45, died after falling from a wagon. After winning 74 games and finishing third in the war-shortened 1918 International League season, Dunn’s Orioles won 100 games in 1919, 110 games in 1920, and 119 games in 1921 — three straight International League titles. Egan was the primary catcher for the Orioles in 1921 at the age of 37. The 1921 team, considered by some baseball historians to be the best minor-league team ever assembled, fashioned a 27-game winning streak on its way to winning 119 games. Though hampered by nagging minor injuries most of the season, Egan played in 95 games. He was the team captain and by all accounts, though baseball old at the age of 37, continued to be a very good defensive catcher with a strong throwing arm. He was also a consistent offensive contributor, hitting .270 and socking 18 doubles, one triple, and five home runs during the regular season.15 In the seventh game of the 1921 Junior World Series, Egan smacked two doubles and a homer in a 7-6 loss to Louisville in a Series eventually won by Louisville. Egan spent the early parts of his 1922 Baltimore spring training with the Orioles in Winston Salem, North Carolina. He had petitioned Dunn for his walking papers earlier in the spring so he could pursue a managerial career; Dunn refused because he thought he still needed Ben. However, during spring training Baltimore’s catching depth improved, and Dunn agreed to release his friend and confidant from his contract, and Egan moved to an International League rival, the Jersey City Skeeters, where he was named manager, vice president and a director. The Skeeters defied expectations under Egan, finishing fourth and winning more than they lost in the eight-team International League. After being fired by Washington, Egan returned home. The Utica Utes of the New York-Pennsylvania League, struggling at the box office and on the field, quickly hired him to replace manager Ambrose McConnell; however, both his time and the Utes’ time in Utica were short-lived as on August 7, 1924, the team relocated to Oneonta, New York, where the Utes became the Indians, and Roy Thomas became the new manager. Egan often said he had little to do with the success of Ruth, Grove and others he helped along the way; however, his pupils reported otherwise and the improved performance some of his hurlers enjoyed in the major or minor leagues speaks volumes about his ability to coach and nurture young pitching talent. After the 1925 season, former Philadelphia Athletics star Eddie Collins, about to start his second year as Chicago White Sox manager, hired his former teammate as his coach and assistant.24 In spite of the team’s marked improvement under Collins and his coaching staff (the team won 79 games in 1925 and 81 games in 1926) owner Charles Comiskey fired Collins at season’s end and replaced him with Collins’s old Black Sox teammate and catcher, Ray Schalk. The White Sox didn’t win more than 81 games again until 1937, and by then Schalk was history and Jimmy Dykes, the manager. But Egan’s first year at Georgetown was also his last. Once again his old mentor, Jack Dunn, came calling. Initially, Egan thought he do both, coach the college team until June and join the Orioles thereafter; however, Dunn needed Egan’s instincts and insights from spring to fall. Unfortunately for Egan and the Orioles, Dunn died shortly after the 1928 season ended. With his death the Oriole International League dynasty ended. Dunn's widow appointed Dunn’s lawyer, Charles H. Knapp, as team president and spokesman. Knapp named Fritz Maisel field manager. Maisel, like Egan, was a former Baltimore player, coach, and captain. Knapp also appointed George M. Weiss, then 33, as the Orioles’ first general manager. Maisel, by all accounts a good baseball man, kept the Orioles respectable, but the Dunn-Egan-Maisel success with pitchers couldn't be duplicated as rookie management team of Knapp, Weiss, and Maisel produced only one 20-game winner during the ensuing four years.27 Egan does not appear to have stayed on with the Orioles in any official capacity or to have been considered as the new manager. According to press reports, Ty Cobb was the only other candidate considered. Egan, 45, returned to his upstate New York home permanently to start his new life. Egan had married Leta Montross on June 30, 1910. They purchased their 69-acre farm in Sherrill on shady Elmwood Place in 1914 and maintained their home there for 54 years. One print source indicated that Ben and Leta had a daughter born in late 1911 or in the early days of January 1912; however, the town clerk of Vernon, where such vital statistics would be recorded, has no record of the birth and the local cemetery has no record of her death. Also, the surviving nieces and nephews and other local residents have no recollection of any Ben Egan offspring. Egan died on February 18, 1968, at the Utica State Hospital after a lengthy illness; he was 84. He is buried in the St. Helena’s Cemetery in Oneida, on the outskirts of Sherrill. He left no will. The court awarded his estate, cash and property valued at less than $15,000, to his wife, Leta Egan. She died on November 19, 1970, at the Oneida Nursing Home; she was 93. The photo is a classic treasure, well known within Sherrill city limits but familiar to few outside the community. Ben Egan and Babe Ruth, old friends: Egan smiling in his Orioles uniform; Ruth, holding his bat, looking uncomfortable in Yankee pinstripes. Both men sit, backs against the lower grandstand fence, fans visible behind them. The date and place are lost in time, but it is probably the spring of 1920 or 1921 — at a reunion of sorts in Babe’s hometown. Babe, a young star, waits to take batting practice. Egan, a yannigan, a career bush leaguer, the old team’s captain, hangs there to chat and watch his old batterymate take his licks. Allen, Lee. “Babe Ruth’s First Catcher.” Cooperstown Corner: Columns From the Sporting News 1962-1969. Cleveland: Society for American Baseball Research, 1969. Bready, James H. Baseball in Baltimore. Baltimore: The John Hopkins University Press, 1998. Creamer, Robert W. Babe: The Legend Comes To Life. New York: Simon and Schuster Paperbacks, 2005. Flynn, Tom. Baseball in Baltimore. Charleston, South Carolina: Arcadia Publishing, 2008. Huhn, Rick. Eddie Collins: A Baseball Biography. Jefferson, North Carolina: McFarland and Company Publishers, 2008. James, Bill. “The Baltimore Orioles.” In The Bill James Baseball Historical Abstract. New York: Villard Books, 1986. Jenkinson, Bill. The Year Babe Ruth Hit 104 Home Runs. New York: Carroll and Graf Publishers, 2007. Johnson, Lloyd, and Miles Wolff, eds. Encyclopedia of Minor League Baseball: Third Edition. Durham, North Carolina: Baseball America, 2007. Kaplan, Jim. Lefty Grove: American Original. Cleveland: Society for American Baseball Research, 2000. Keenan, Jimmy. The Lystons. Gaithersburg, Maryland: self-published, 2006. Montville, Leigh. The Big Bam: The Life and Times of Babe Ruth. New York: Broadway Books, 2006. Pendleton, Thomas A. “The 1919 Orioles.” In The National Pastime: A Review of Baseball History N-21. Cleveland: Society for American Baseball Research, 2001. Ritter, Lawrence S. Glory of Their Times. New York: Quill William Morrow, 1966. Robertson, Constance. Golden Anniversary 1916-1966 Sherrill, New York, 1966. Robertson, John G. The Babe Chases 60. Jefferson, North Carolina: McFarland and Company Publishers, 1999. Ruth, Babe (as told to Bob Considine). The Babe Ruth Story. New York: E.P. Dutton & Co., Inc., 1948. Stadtmiller, Joseph. American Bases. Sherrill, New York: self-published, 2009. The Baseball Encyclopedia. New York: Macmillan and Company and Information Concepts Incorporated, 1969. Weldon, Martin. Babe Ruth. New York: Thomas Y. Crowell Company, 1948. Wagenheim, Kal. Babe Ruth: His Life and Legend. New York: Praeger Publishers, 1974. Ye Doomesday Booke. (Georgetown University Yearbooks select pages supplied by Georgetown University, Washington, D.C.: 1927 and 1928. 2009 Georgetown Baseball Annual (online). Egan, Arthur Augustus. Oneida County, New York, Probate Court file, 1968. Egan, Leta. Last Will and Testament, 1967. Egan, Leta. Madison County, New York, Probate Court file, 1971. The Quadrangle (published by OCL). Anita Ayers, San Francisco, California. Tom Barthel (SABR), Clinton, New York. Gene Carney (SABR), Utica, New York. Robert Comis, Sherrill, New York. Craig Crowell, Sherrill, New York. Tom Elliot, Blue Bell, Pennsylvania. Dwight Evans, Sherrill, New York. Al Glover, Sherrill, New York. Pete Glover, Sherrill, New York. Art Hedderich, Sherrill, New York. Peter Henrici (SABR), Cooperstown, New York. Michael Holmes, Sherrill, New York. Anita Ingalls, Oneida, New York. Paul Jones, Oneida, New York. 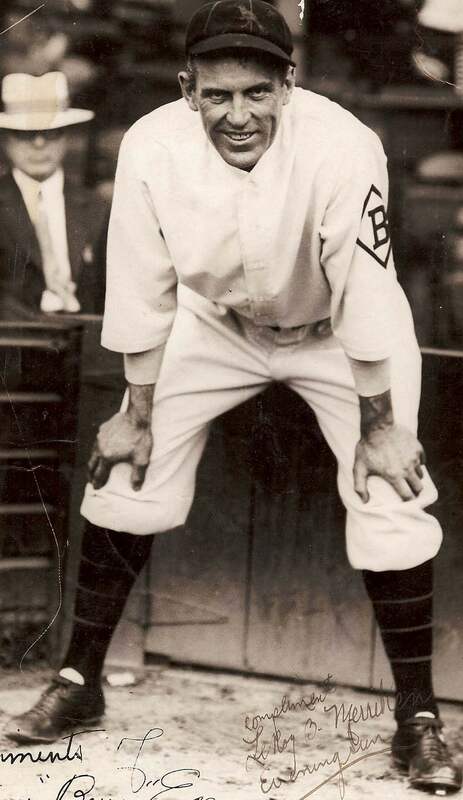 Jimmy Keenan (SABR) , Glen Rock, Pennsylvania. Jim McBride, San Jose, California. Joseph Stadtmiller, Sherrill, New York. Jack Stone, Sherrill, New York. Bette Egan Vogt, Sherrill, New York. Anthony Wonderley, Oneida, New York. Kevin Zeise, Cornell University, Ithaca, New York. Augusta Town Clerk, Oriskany Falls, New York. Baseball Hall of Fame, Research Library, Cooperstown, New York. Madison County Surrogate Court, Wampsville, New York. Mansion House Library, Oneida, New York. Oneida City Clerk, Oneida, New York. Oneida County Surrogate Court, Utica, New York. Oneida County Clerk’s Office, Utica, New York. Oneida Public Library, Oneida, New York. Onondaga County Public Library, Syracuse, New York. Rome Historical Society, Rome, New York. Saint Patrick’s Cemetery Association, Oneida, New York. Sherrill-Kenwood Cemetery Association, Oneida, New York. Sherrill-Kenwood Public Library, Sherrill, New York. Syracuse Public Library, Syracuse, New York. Vernon Town Clerk, Vernon, New York. Utica Public Library, Utica, New York. 1 Interviews with octogenarian Paul Jones, former mail carrier, paper boy, and postal clerk, whose father palled around with Ben Egan; nonagenarian Art Hedderich, retired Oneida Limited employee and Sherrill resident; Jack Stone, Sherrill resident and former Community Associated Clubs semipro player; brothers Glover, Al and Pete, now and forever Sherrill residents; and other locals. These quotes developed and edited from their remembrances. In his book The Gas House Gang, author John Heidenry wrote of 1934 ballplayers, having further perfected their accuracy, using and dropping water-filled balloons from upper-story hotel rooms on unsuspecting teammates, managers, reporters, and others. 2 In 1962 Egan told Lee Allen that he coached professionally until the beginning of World War II. Some Sherrill residents recalled him coaching until 1945, but, though the written records are spotty, other names show up as coaches or managers during the war years. It may be that Ben helped out and had no official title. He turned 65 in 1948. 4 Egan’s parents lived in Augusta, New York, when he was born on November 18, 1883. Oneida County Clerk filings show that in 1888 Egan’s mother purchased the Cedar Street property in Sherrill. Ben and the younger siblings spent the rest of their childhood in Sherrill. He attended local schools through eighth grade; then he went to work at Oneida Community Limited for a dollar a day and played ball with his brothers until signing on with Rome in 1905 for $50 a month. 5 Baltimore Sun, February 12, 1911. 6 Records for this period are a little sketchy, but I believe this is accurate — some information from the Oneida Daily Dispatch, May 14, 1948, from Encyclopedia of Minor League Baseball, Third Edition, and from Lee Allen’s Sporting News column in 1962 (referenced later). The Eastern League changed its name to International League and its classification to Double-A in 1912. There were three Double A (AA) classifications, then considered one level below the major leagues: the Pacific Coast League, the American Association, and the International League. 7 Washington Post, September 30, 1908. Egan received his first major-league intentional walk before he got his first hit. 8 Baltimore Sun, August, 9, 1911. 9 Baltimore Sun, February 12, 1911. 10 Baltimore Sun, January 26, 1913. 12 Payments vary from $8,500 to $25,000; however, Ruth and others cited amounts and distributions that totaled $8,500. The payments may have been low because of the newly formed Federal League. Players were jumping leagues and owners didn’t want to invest too much because they feared players might jump to the Federal League. Boston Red Sox President Joseph Lannin indicated the price for the three players was $25,000 (New York Times, July 10, 1914). 13 News article (undated) from the Sherrill City historical archives, presumably from the Baltimore Sun or Syracuse Post Standard. 14 Baltimore Sun, October 18, 1920. 17 Baltimore Sun, April 4, 1922. 18 Baltimore Sun, March 31, 1921. 19 Baltimore Sun, May 23, 1922. Baltimore honored Egan in his first game back in Baltimore as the new Jersey City manager. 20 Baltimore Sun, December 15, 1922. 21 The Washington Post, June 2, 1924. 22 Article from unknown New York paper (ca. March 1925), from Egan’s file at the Baseball Hall of Fame. 23 Cornell Daily Sun, January 7, 1925. 25 Washington Post, February 25, 1927. 26 1927 Ye Domesday Book, p. 385. 28 Oneida Daily Dispatch, April 9, 1931. There is an article and picture which suggest that Ben Egan was the previous season’s manager as well. The CAC baseball team, funded in part by Oneida Community Limited, paid the coaches and players as employees. According to Jack Stone, a former CAC player, and others, players and coaches would punch out of their regular jobs and punch in for their baseball jobs. Whether this was true during the early years is unknown; however, the news article announcing Egan’s appointment as the baseball coach had all the formalities of an article announcing a job promotion at OCL. 29 The Ruth-in-Sherrill story tracks back to one OCL official’s unpublished manuscript (ca. 1935); the story appears in Sherrill’s Golden Anniversary book (1966); it has appeared in local newspapers; it has appeared in the local City of Sherrill Newsletter; and a poster commemorating the game still hangs in the CAC clubhouse in Sherrill which states, among other things, that Ruth pitched at Kenwood Park as a member of the Eastern League Baltimore Orioles on September 1, 1910. The source for all these publications appears to have been the 1935 manuscript (or each other). The 1910 date is just plain wrong and suggests that the author had no written record readily available. The mistake appears to have emanated from a logical assimilation of faulty memories and half-truths sprinkled with a dose of wishful thinking. Ruth was 15 in September 1910 and still playing approximately 200 games a year for St. Mary’s Industrial School for Boys. 30 Oneida Daily Dispatch, May 14, 1948. 31 Lee Allen, p. 11.